Some bad habits we had when we were kids are hard to outgrow. As parents, we can manage these bad habits and prevent them from carrying it to their adolescence. 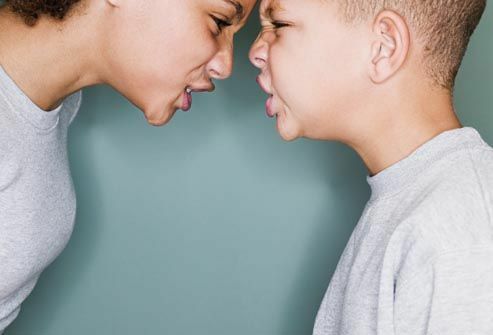 Here are some simple ways to manage bad habits of your kids. Find out what trigger their bad habits. Does she start to bite their nails when they feel hungry or does he pick his nose when he has a cold? Prevent this by leaving out healthy snack and using a nasal aspirator and saline solution to remove mucus and dirt from the nose. Don’t scold them on their bad behavior, the more you bring attention to it the more they will do it. Positive reinforcements stick to the kids more, congratulate them or praise them when they clean up after themselves or use a tissue instead of their hands. Show them good habits. Let them see you using a tissue, cleaning up, saying sorry and proper manners. Kids will pick up habits in the environment they are in. If you see other kids biting their nails or spitting let them know that those behaviors are not okay, but do not scold them or shout at them when they do it. Remain calm and tell them that this behavior make you upset. Talk to an expert, ask them about child behavior. Let them asses your child and allow them to determine if they can outgrow these bad behaviors or if it can get worse. Some bad habits can cause your child and other people harm, you need to fix the problem before they do. For example, is nose picking, continual picking can cause bleeding in the nasal passage and infections. Experts can give you important steps to stop these behaviors. Distract them; give kids toys or food to prevent them from these habits. Emphasize their good behavior and reward them for good habits. Good habits and manners usually start at home and so does bad habits. Kids tend to follow what they see. Especially in people that they look up to, prevent showing kids’ habits that they can potentially acquire.